While browsing instagram, I have frequently come across the quote "If you're not planning for January then you are already behind". In some anxiety-inducing way, that is true. 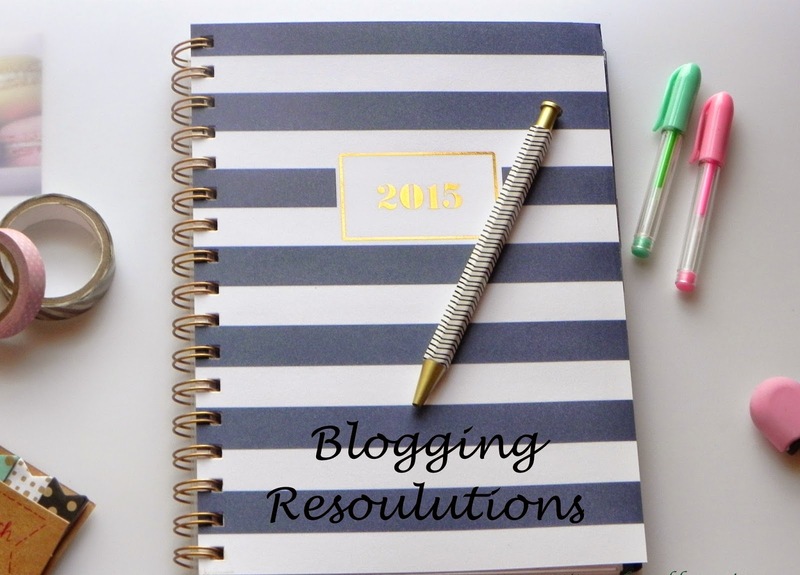 So I've begun to reflecting and came up with five 5 ways I can improve my blog. 1. Consistency: When I fall off the wagon- I fall HARD. For the year 2015, I hope to post 2-3 weeks mostly between Thursday-Saturday. The key here, lies in planning ahead. Sometimes, things do get hectic working two jobs and school. But I know I can manage everything if I organize my time wisely. My anxiety is really what stops me...but as long as I stay organized and plan everything out, I can counter it. 2. Take better pictures: What inspired me to blog was really the wonderful photography that was being produced by everyday people and their iphones. I just found it so inspiring and wanted it to be a part of my life. But I really need to up my game. This year, I'll focus learning more about my camera and lighting. 3. Make my layout simple and functional: This may sound silly, but if you have been following me from the beginning, you might have noticed my blog has gone through several transformations. I hope to find a layout that works best for me and my readers. 4. Interact more: All the social platforms can be overwhelming and I realize if I set twenty minutes a day (whether I'm commuting or waiting on line), I could easily attain this goal. No man or in my case - woman is an island! I would like to make myself more personable and not just be a random chick behind a computer. 5. Be personable: I certainly have no intention of adding a lifestyle section to this blog but I would like to expand on sharing my personal thoughts and have a type of "Heart to Heart" kind of post. In a way, it's beauty related since maintaining wellness influences your views and .....that's what beauty is. Its how you look at things. So things that are related to perception, self-esteem, coping with stress, sleeping better, relaxation - posts around those topics. I'm not sure what to call it, though. Any ideas?